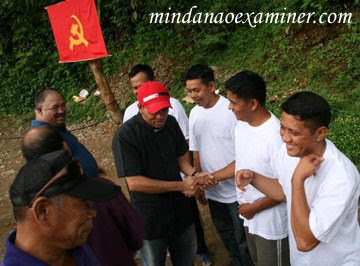 Communist rebels release photos of four prisoners - Army Corporals Marcial Bawagan, Ariel Asumo, Eduardo Alcala and Victor Pitogo - shortly before they are freed in Mindanao. The four were taken prisoners in the town of Mawab on May 12, 2010. 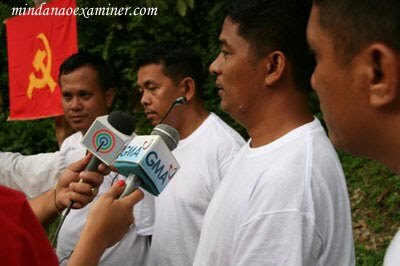 DAVAO CITY, Philippines (Mindanao Examiner / June 20, 2010) – Communist rebels held a government soldier and a militiaman after stopping public vehicles at a checkpoint in the southern Philippines, officials said. Officials said the two hostages - Staff Sergeant Bienvenido Arguilles, of the 25th Infantry Battalion, and Job Latiban - were seized Saturday in the village of Uper Ulip in Compostela Valley’s Monkayo town. “The two were just passing by the village when dissident-terrorists collared them,” said Army Captain Emmanuel Garcia, a spokesman for the 10th Infantry Division. He said some 30 New People’s Army set up the checkpoint and inspected passing vehicles for soldiers. Civilian passengers were also forced to attend a lecture by rebels about their cause and later freed. Garcia did not give other details about the abduction, but said troops were sent to track down the rebels and rescue the duo. The latest strike by rebels came days after they freed three soldiers and a government militia after almost a month in captivity in Compostela Valley. The four - Army Corporals Marcial Bawagan, Ariel Asumo, Eduardo Alcala and Victor Pitogo - were taken prisoners in the town of Mawab on May 12. 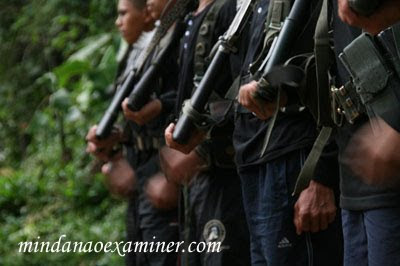 On Friday, rebels also attacked a group of policemen and wounding three of them in Davao Oriental’s Cateel town. Security officials said as many as five rebels were either killed or wounded in the fighting after a failed raid on a police station in the town.